It appears that Air India’s troublesome Boeing 787-8 Dreamliner VT-ANI has finally completed its repairs and retrofits and is getting ready for flight. 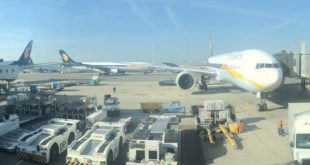 From a supporter of Bangalore Aviation comes this photo taken at Mumbai airport on India’s Republic Day, January 26, 2015. A hat-tip to the boss. Air India Boeing 787-8 Dreamliner VT-ANI LN46 at Mumbai airport after being grounded for nine months for a “reliability retrofit”. 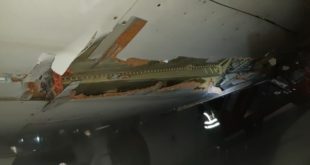 Readers will recall, since April 2014, nine months ago, Air India’s Boeing 787-8 Dreamliner VT-ANI was grounded for what the airline termed “reliability improvement retrofit (modification)”. We reported this with exclusive pictures. VT-ANI was the 46th Dreamliner built, and the first to be built outside the venerable Everett factory. 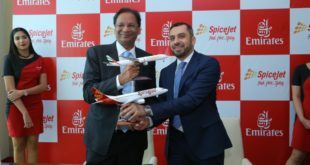 It achieved first flight on May 23, 2012, but was delivered to Air India only in early October 2012 at a glittering ceremony. Early build Dreamliners have been troublesome aircraft for their operators, and Boeing has been scrambling to fix the problems. VT-ANI was the first aircraft built on the Charleston, South Carolina assembly line, and understandably it would have its problems. Yet, a nine month long retrofit? Three months on, we still have not received a response from the airline seeking a clarification that what type of retrofit is this, that has taken nine months? 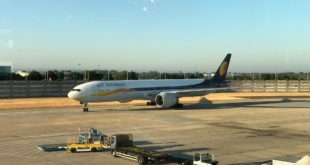 A Boeing India spokesperson declined to respond to an e-mail and SMS sent enquiring on the type of retrofit and why did it take so long. We estimate a Dreamliner would lease out at about $600,000 to $750,000 per month, apart from the lost income. Is Air India going to recover the cost of the grounding from Boeing? In any case, we are glad that the bird is back and should see active service soon. 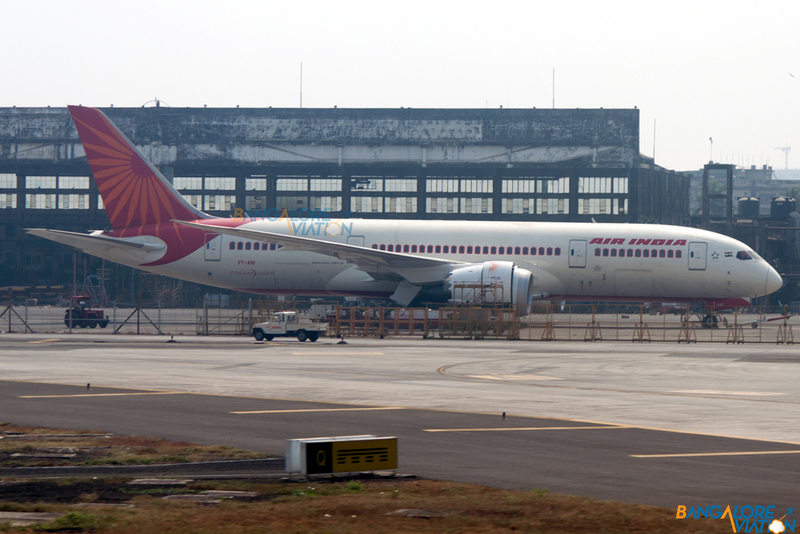 Incidentally, VT-ANI was the aircraft we flew when we did our in-flight review of Air India’s Dreamliner.